A 2001 graduate of Kennebunk High School and a 2005 graduate of UNE, Michele Bundy is a Licensed Esthetician with more than a decade of experience in the natural beauty industry, a Master of Arts in Holistic Counseling, and certifications in several health & healing modalities. Michele’s personal and professional dedication to sustainability and wellness, along with her holistic approach to skincare, have come together to create The Fifth Om: a place for conscious beauty. Her vision for The Fifth Om is for truly natural beauty products and traditional skincare to harmonize with innovative skincare technology, providing beautiful, healthy and effective treatments for her clients. After graduating UNE with a BA in Psychology, Michele moved to Newport, RI to obtain her Master’s degree in Holistic Counseling at Salve Regina University. While studying, she began working at Farmaesthetics, a pioneering brand in the natural skincare industry. Along the way she picked up certifications in Advanced Esthetics, Laser Hair Reduction, Chemical Peels, Venus Freeze Body Contouring, Reiki, and Integrated Energy Therapy. She has provided trainings in natural skincare to some of the country’s top spas. In her commitment to continual learning, she regularly attends seminars and events that enhance and balance her knowledge base. 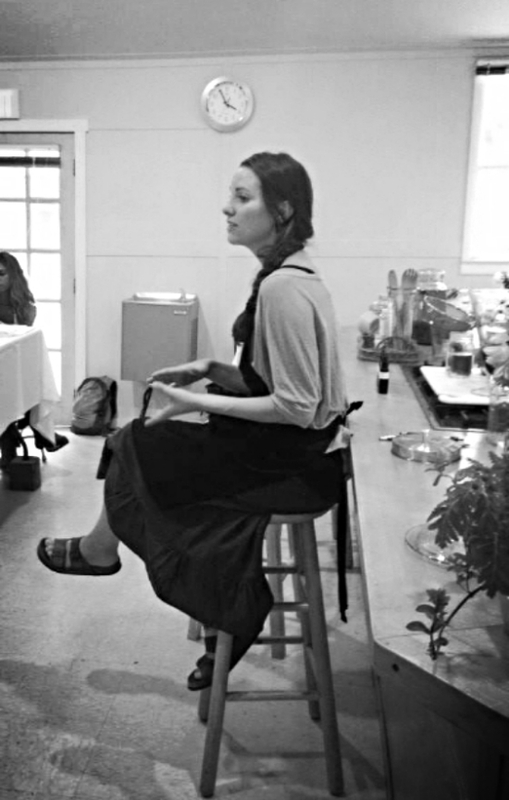 In addition to her education and professional certifications, Michele has completed an apprenticeship in herbalism, as well as workshops in herbal skincare, natural beauty, the Hakomi Method of Mindfulness-Centered Somatic Psychotherapy, and Cognitive Behavioral Therapy. Having a lifelong passion for both art and science, Shannon found her calling in the world of massage and bodywork. After graduating from the Finger Lakes School of Massage in 2008, Shannon quickly became known for her integrative approach and ability to produce lasting results. Well versed in both Eastern and Western healing techniques, she strives to create a unique, holistic experience for mind, body and spirit. Her work has resonated with people of all ages and conditions, with clients ranging from 1 to 101 years old. Everyone's body is different and Shannon prides herself on the ability to communicate with clients to create a treatment that is just right for them, always keeping them comfortable and catering to their specific needs. Growing up in the Hudson Valley area of New York, Shannon spent a great deal of time on the Southern Coast of Maine, falling in love with its beauty, people and pace of life. Deciding that there was no place she would rather live and work, Shannon has recently moved her practice to the area. She is looking forward to connecting with new clients, building lasting relationships within the community and using her work to facilitate healing and growth.